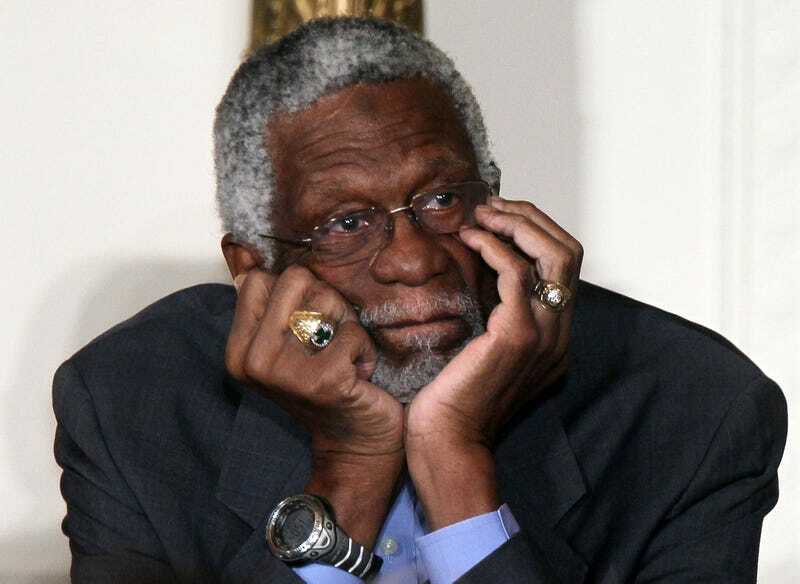 NBA legend Bill Russell feels the same way about Charles Barkley as most of us do. During Monday’s NBA Awards, when Barkley was presenting the Lifetime Achievement Award to Oscar Robertson, Barkley shouted out all the legends in attendance, including Russell. But when the camera panned to show Russell, the 84-year-old Boston Celtics great gave Barkley the finger. Russell took to social media to apologize and explain that Barkley’s face just brings it out of him. “Sorry everyone, I forgot it was live TV & I can’t help myself whenever I see Charles it just is pure instinct,” Russell tweeted, USA Today reports. Killing two birds with one stone, Russell owned the crowd this night as everyone in attendance burst out laughing—and his moment will live on as the new go-to meme to handle Donald Trump supporters.